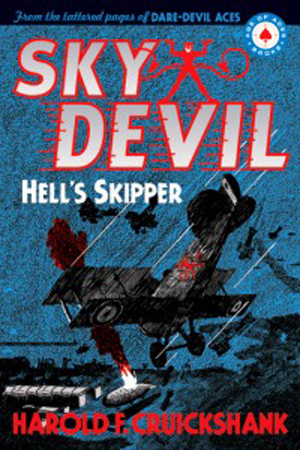 The Sky Devil and his Brood were Riders of the Hell Trail! Nowhere along the Western Front could you find a more feared crew, both in their element and out. 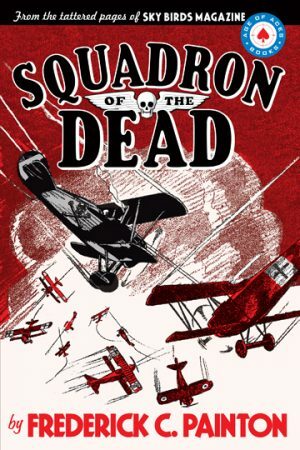 The Sky Devil and his Brood could always be counted on to whip Germany’s best Aces, out-scrap entire squadrons of Boche killers, or tackle not one, but two crazed Barons with an Egyptology fetish! 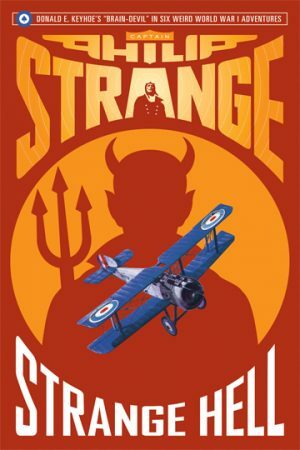 But what happens when they find themselves up in a dirigible fighting a fleet of ghost zeppelins, or down in the English Channel battling ferocious deep water beasts, or even behind enemy lines dealing with a crazed Major Petrie? Plenty, and you can read it all here! 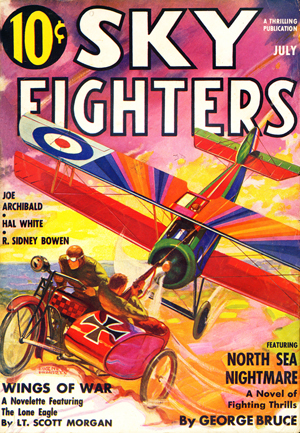 The prolific Harold F. Cruickshank was a mainstay of Popular Publications’ air titles, with a series in each. 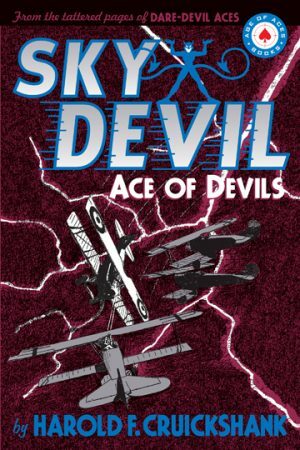 For Battle Aces he wrote Sky Wolf; For Battle Birds he created Red Eagle; and in Dare-Devil Aces, from 1932 to 1935, he wrote 29 tales of Sky Devil. 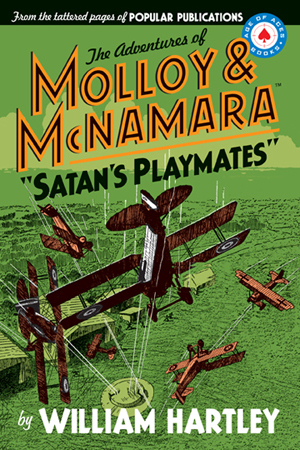 This second volume collects half of the run—15 stories in all—including the seminal story where Bill Dawe is rooked out of the command of 120 Squadron!